If you have been involved in a personal injury lawsuit in Kentucky and are entitled to a settlement, an important decision still remaining is how you will receive compensation for your case. There are numerous options available for clients who are entitled to receive a settlement in their case, including receiving a lump sum or a structured settlement. Each case is different, and each clients needs regarding their settlement are unique. What is right for one client’s situation may not be right for another, so it is vital that you examine your individual needs and options before accepting a lump sum or a structured settlement. To assist you in making this important decision, the Byrnes law firm has put together a brief primer explaining a few of the options available to you. For many clients who are awarded large settlements in their lawsuits, a structured settlement is an ideal arrangement for receiving compensation. Structured settlements pay out a sum of money in small increments over a period of time. These payments can help cover continuing expenses related to your case and help you avoid the overspending and mismanagement that sometimes come from receiving a large sum of money all at once. All payments received via a structured settlement are exempt from taxes by both the state and the federal government, and a payment plan can be set up to anticipate future expenses. Clients who choose structured settlements often receive more money over the course of their payment plan than they would have received with a lump sum. Structured settlements, however, do offer some disadvantages. Often a structured settlement is invested for you by a third company, usually an insurance company. This means that you do not have the option to invest the money in the market of your choice. Additionally, if you are set to receive a smaller settlement in your lawsuit, or if you have large medical bills or expenses that need to be paid immediately, a structured settlement may not be an ideal choice. Once you have accepted a structured settlement, you will be unable to adjust the payment plan to suit your changing needs. A lump sum received from a lawsuit is also tax free, and can be used to pay for large expenses or invested as you see fit. 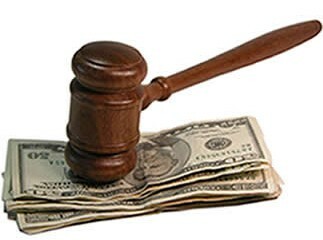 Before choosing a lump sum or a structured settlement for compensation after a lawsuit it is important that you speak with your Kentucky personal injury lawyers and a financial advisor to examine your personal needs and options. DISCLAIMER: All information on this website is provided for informational purposes only and is not intended to be construed as legal advice. The Law Offices of John W. Byrnes & Associates shall not be liable for any errors or inaccuracies contained herein, or any actions taken in reliance thereon.